It's the traditional barn lights you recognize from rural and industrial settings, reimagined in a contemporary fixture that highlights any business signage. The classic goose neck design lends itself well to this functional piece, providing an illuminating, powerful item that makes showcasing any business sign easier, without the use of expensive back lit options. Since the neck can be configured to wrap itself around your signpost specifically, using a number of arm bends or custom options, you can display what you want to display, without lighting the surrounding areas. This draws focus directly to your business, and nothing else. The lamp's natural downward lighting trajectory makes this process even more seamless, making goose neck lighting a favorite among business owners and designers alike. Aside from their practical purposes of sign and business lighting, goose neck lights are also extremely stylish. This item blends an industrialized feel of the shade with the gracefully curved appeal of the arm for a perfect contrast. Additionally, each light comes in a selection of over 25 attractive colors. Five of them are offered at no additional charge, so you're not limited, even when you're on a budget. Additional shades, arm bends, and custom colors may also be available upon special request. Goose neck lights can be beautifully curved around awnings and other structures to enhance your sign, while also creating a striking outdoor focal point for the building itself. Buy custom gooseneck lighting online, or call us toll-free to explore more options. Each light fixture is fashioned from hand spun aluminum. This metal is much lighter than comparable materials, making for a more convenient installation. It also makes the lights more practical when being mounted from smaller or lighter posts or awnings. Additionally, when combined with the power coated finish options, this material is impervious to rust, corrosive damage, and fading due to UV rays. It's an all around great investment for business owners who don't want to spend a fortune. 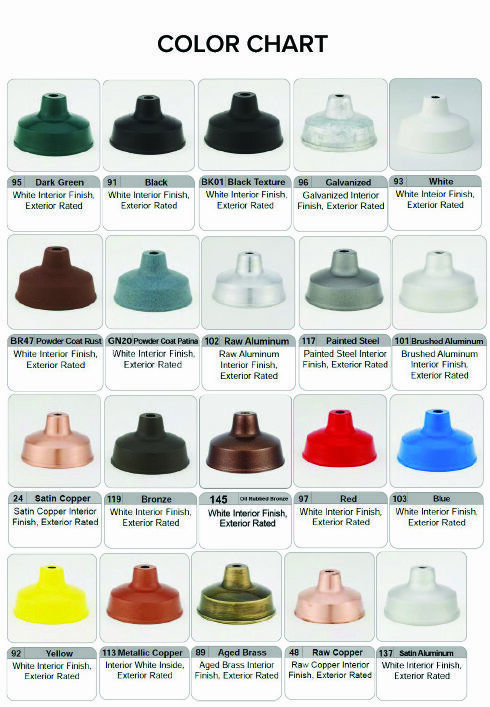 Choose from CFL or Metal Halide lamping options, or call for information about our LEDs.